The IPA is calling for a moratorium on micro-targeted political advertising following the recent data scandal involving Facebook and Cambridge Analytica. For the first time, the UK advertising trade body is making an official call to The Electoral Commission and the political community at large to specifically stop political ads being targeted at individual users based on their data. Given the absence of self-regulation on political advertising, the IPA criticised the use of micro-targeted political ads as being "opaque and unaccountable". The body is also calling for all political advertising creative work to be listed for public display in a bid to increase transparency. Sarah Golding, the IPA president and The & Partnership London chief executive, said micro-targeted political ads circumvent the open, collective debate on which politics relies. "Very small numbers of voters can be targeted with specific messages that exist online only briefly. In the absence of regulation we believe this almost hidden form of political communication is vulnerable to abuse," Golding said. She went on: "We must stress that we’re not calling for a blanket ban on all digitally targeted advertising. There’s nothing wrong with using data to micro target advertising for holiday destinations or sports cars for example – crucially they are covered by the strict ASA self-regulatory Codes, and furthermore they don’t require public square debate. "However, in an age where consumer trust has been heavily eroded and the quest for truth and transparency is paramount, we feel it incumbent upon us to call for this moratorium." 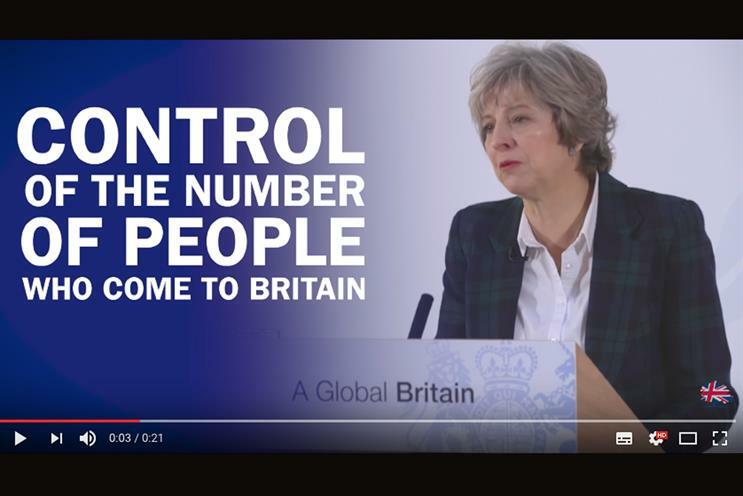 Not only are micro-targeted political ads not regulated in the UK – all political ads are outside the remit of the Advertising Standards Authority because of the short timeframe in which election campaigns are held. Historically there has also been a lack of consensus from the political parties on how to bring political ads within the scope of the advertising code. Giles Hedger, chief executive of the Conservative Party’s longtime ad agency M&C Saatchi, welcomed the IPA’s announcement and said it was time for a "big stop-and-think about the relationship between technology and political communication". "We’ve been part of a fine tradition of political campaigning that has taken place in the open and the basis of that is an open conversation in the public interest," Hedger said. "Rosser Reeves once wrote about advertising working in the ‘bare and pitiless sunlight’ – I think that approach fits in a healthy way with political advertising. Whereas, if you allow micro-targeted advertising to develop unchecked then I think lots of bad things can come out of that. "The process of democracy has been overtaken by the possibilities of technology; the question is how do we manage that and safeguard it? We’re entering a phase where electioneering loses its accountability because we’re not otherwise keeping step with what technology can do to influence the process and potentially corrupt it." Benedict Pringle, a business director at The & Partnership London and and founder of politicaladvertising.co.uk, welcomed the move because micro-targeted has caused a democratic deficit by reducing the visibility of what political advertisers are saying. "I hope the political class welcome the IPA's call for all political advertising to be listed publicly; anything which improves public awareness of the issues facing our country is clearly a positive thing," Pringle said. He added: "Given that it won’t be long before political parties begin to use automated process to develop and distribute targeted political advertising, it’s essential that measures are put in place to make sure that human eyes can monitor what is being promised to the electorate." However, Brainlabs chief executive Daniel Gilbert said that political microtargeting was "nothing new", and that Facebook would likely ban political ads anyway because their small budgets mean they are "not worth the baggage". Gilbert said: "Political micro-targeting is nothing new, it’s just that digital media has enhanced its scale. When an MP goes door to door in their constituency, I’m pretty sure those conversations aren’t recorded and made available to the public. "Cambridge Analytica stole and abused people’s personal data. That’s disgraceful, but it doesn’t mean that microtargeting itself should be condemned. As we saw in the last UK election, social media opened up opportunities for political parties to tailor their communication to different audience segments, which any politician will naturally wish to do if they can. "It’s not as if ads on Twitter and Facebook are really private anyway. Any social media post becomes a permanent public record, which can be easily assessed against the Electoral Commission’s standards. We only need to worry when politicians start using Snapchat ads." Today’s announcement also forms a key part of Golding's "Magic and the Machines" IPA presidential agenda by ensuring greater digital media quality and security.